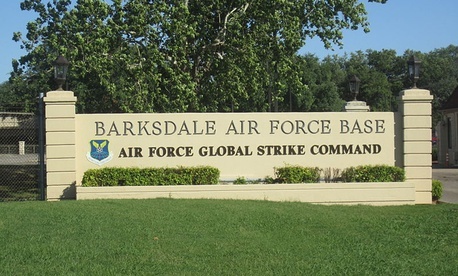 After several nuclear-sector lapses, U.S. Air Force Global Strike Command is creating a new position designed as a conduit between missileers and commanders. Each of the nine missile squadrons of the 20th Air Force will get its own assistant director of operations, or "ADOs," before summer's end, according to a Tuesday command press release. The assistant director will be a middle-management position charged with supporting command leadership in its efforts to direct junior nuclear personnel responsible for maintaining, operating and protecting the country's arsenal of Minuteman 3 intercontinental ballistic missiles. Maj. Scott Fleming, who will become one of the first assistant directors of operations, said the decision to prioritize creation of the position came out of the command's ongoing Force Improvement Program. The initiative was launched in February to address a number of professionalism and morale problems within the nuclear missileer force that were brought to light in the last year. "I'm glad to see they are pursuing this," Fleming said in released comments. "Historically in the ICBM units, there has been a large gap between the leadership level and those pulling the duty out there in the field. If you look at the bomber units and most of the flying units, it's not quite set up that way. They have more mid-level management and leadership from ADOs who are able to bridge that gap." Lt. Col. Steven Folds of the 20th Air Force said he was optimistic that the new operations officers would be helpful in translating the orders of commanders into a language that young personnel in their first assignments and enlisted crews could understand. "They will also ensure appropriate training is accomplished for all crew members under their charge and will direct additional training as those needs are identified," he said.